With classical scenes inside circular medallions at either side of the burn area. Finely cast paterea adore each top corner of the reed and pearl bead decorated frame. 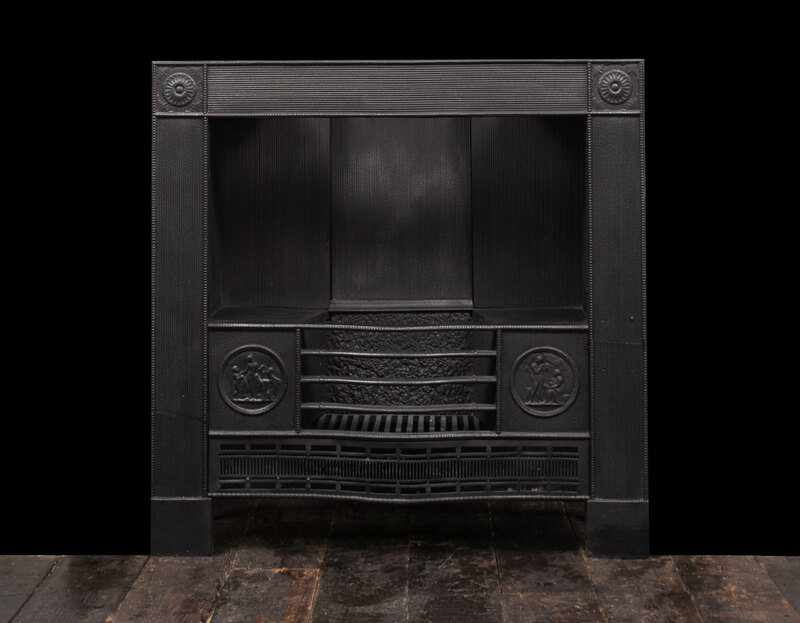 This grate is an attractive, early and rare piece.